The purpose of writing this blog post is very simple. It is to share with you what I think are the best combs and brushes for Havanese. Although there is no guarantee that what I consider are good work perfectly with your Havanese, you may still want to try them if you need a place to start. And since a comb isn’t something you need to replace every month, I didn’t really put the prices of the following combs and brushes into consideration as long as they are relatively affordable. Personally, I like the brand Chris Christensen but I haven’t really tried many other brands as extensively. Currently, I use both the buttercomb and the wood pin brush together. The fine buttercomb is probably the go-to comb for a lot of Havanese’s owners. You have to note that Chris Christensen has similar combs that are either more coarse or fine. You really need to try and see how fine or coarse you want your buttercomb to get because every Havanese is different. Just like we human, a specific comb or brush may suit your brother or sister better than the way it suits you. 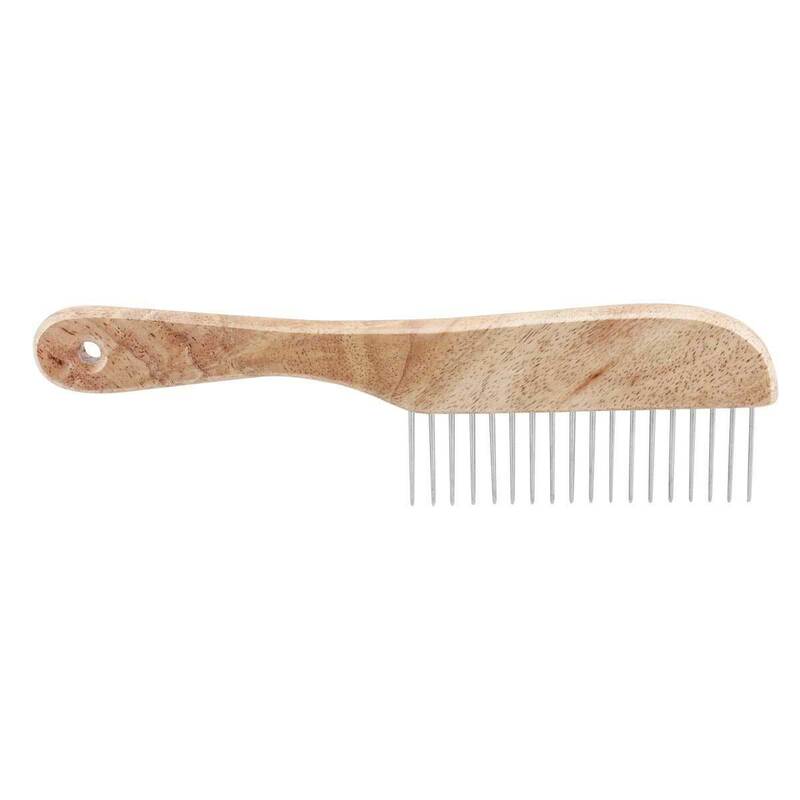 For your information, this comb is handcrafted and has a rounded core top. As a bonus point, this comb feels really good in the hand. 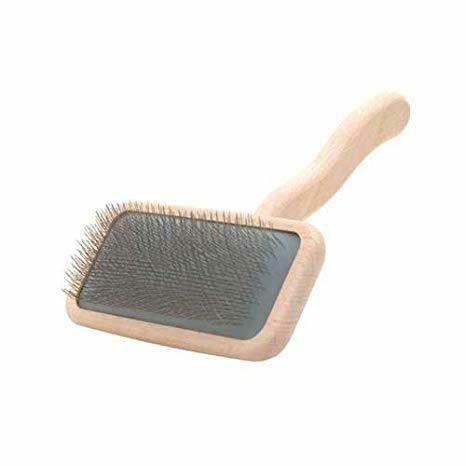 This wool pin brush is a very versatile that should work really well on most Havanese and other dogs. One of the best things about it is that it has a really nice grip that makes it very comfortable to use for a longer period of time. I like to use this pin brush to very gently detangle his hair even if I want to use a buttercomb to make the hair smoother later. If I can only have one comb or brush, this is the very likely the one I will stick too. 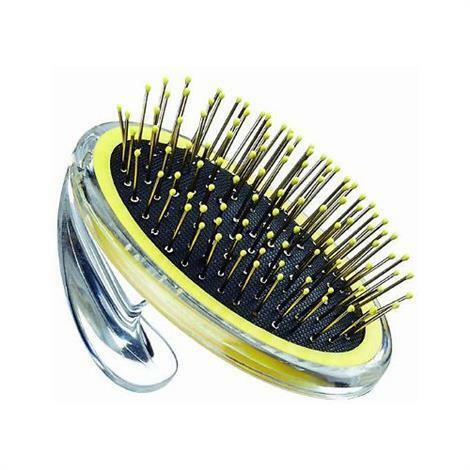 It is something that makes the hair brushing process as pain free as possible. If you want to carry a nice brush in your jeans pocket, this is probably the one that you are looking for. Being a small brush, its grip is surprising nice and comfortable. 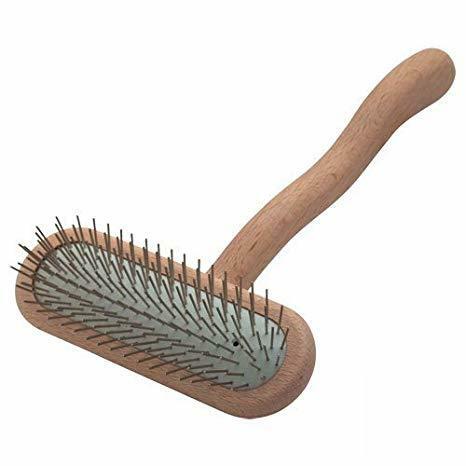 This brush is also very nice in terms of the way that it allows to gently detangle your Havanese’s hair. It works really well with both short and long flowy hair. The brush isn’t too hard or too soft, although I can see on some reviews that some people tend to think its on the hard side. That I would recommend you to try it yourself and decide for your Havanese. This poodle comb can actually work pretty well on Havanese. Although it seems like a super simple one, it actually works really well, surprisingly well for Havanese with long coats. 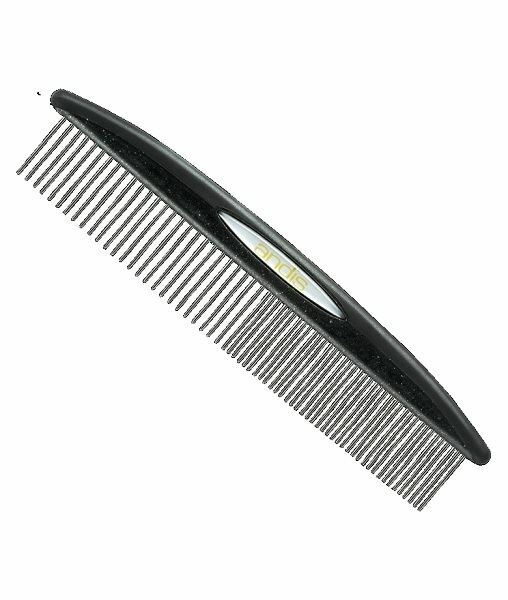 This is easily nice for those of you who like to have a light-weight comb that has a reasonably nice grip. 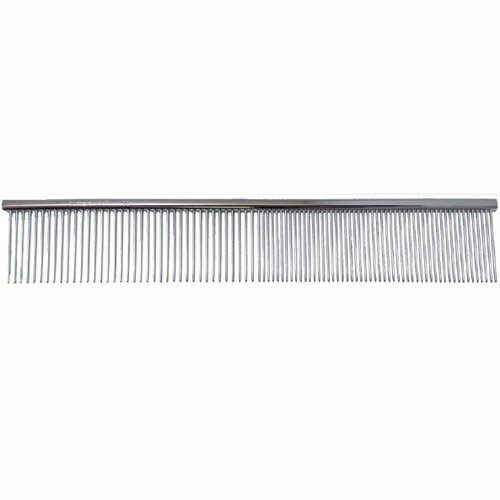 If you are looking for a rigid and small-sized comb that looks minimal and works well, this is a pretty nice steel comb to have. It can help remove loose hair and remove tangles. 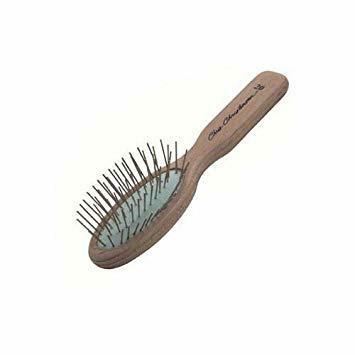 You can use is as a general comb or you can use it for a final touch after you have detangle his hair with other combs or brushes, a wood pin brush for example. The nice texture due to the stainless steel material is also going to make this very enjoyable to use. This is a relatively pricy dog brush and I must say that the price is high for some very good reasons. This brush has some very well polished tips that would very likely make your Havanese enjoy the brushing process instead of hating it. It is almost like giving your Havanese a massage when you use the brush on him. Other nice features include the comfortable wood grip and being light weight. Yet, those polished tips alone can already make this brush worth it. There is a general belief that a slicker is not particular good for Havanese with full silky coats. Whether that belief is true or not, it certainly doesn’t apply to this particular slicker. A lot of time, if a brush or a comb doesn’t work as well as you expect, it is nice to have something different that you can try. This high quality slicker is one of those things that you may want to try your luck with. As mentioned, it is a good idea to try different types of brush if the more typical and popular ones don’t work well enough, for example, causing to much unwanted hair loss and pain. The t-brush is really nice for long coats. It is also designed in a way that minimizes the owner’s wrist movement, making it an enjoyable experience for you and your Havanese. 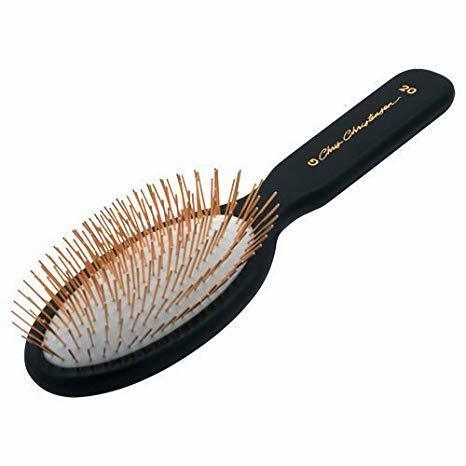 This unique curved back slicker brush is another one of those brushes that you would want to try if the typical brushes and combs don’t work. The handle of this brush is on the small size so it may be more suitable for those of you who have small hands. Other than this minor point, the brush should be very comfortable for both you and your Havanese. If other types of combs and brushes seem to bother your Havanese a lot, this uniquely shaped slicker may save you big time. 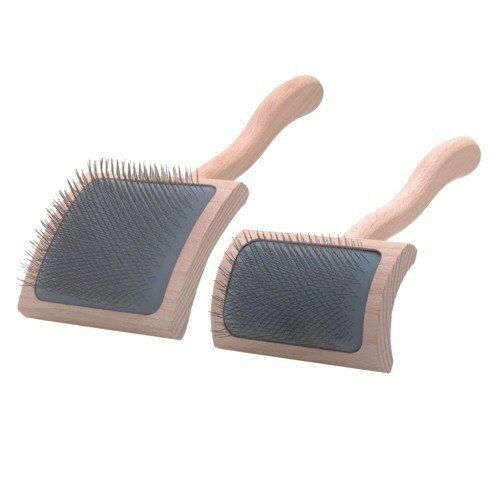 This pin brush has one of the most gentle tip and finish you can get from a dog brush. It is a little pricy yet it should be very worth it to you especially if your Havanese seems to hate it when you brush his hair with other brushes or combs. 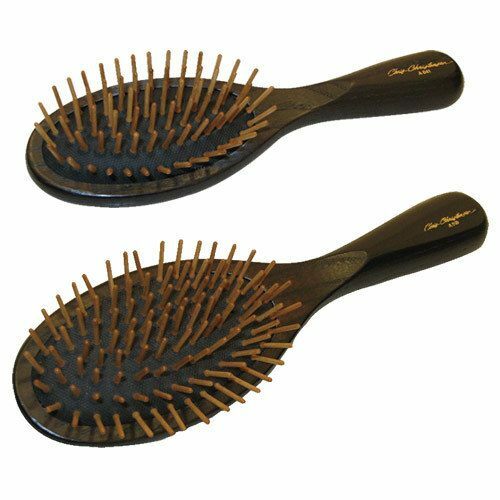 This brush has more pins than most other brushes, providing him a more gentle and comfortable experience. Here are some of the best combs that you may want to use for your Havanese’s hair. Try them and see which one suit him the best.